Additional Info: 9 week old girl with WBC count of >100,000. 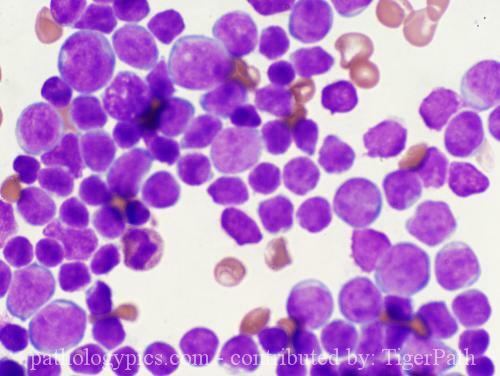 FISH positive for 11q23 MLL (mixed lineage leukemia) gene rearrangement. Partner gene was 9p13.3 ENL (eleven nineteen leukemia) gene.